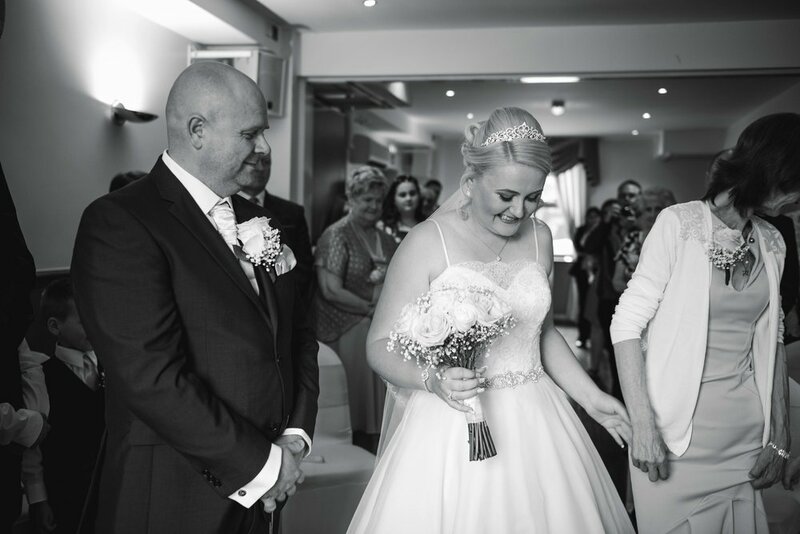 Kim and Lee got married at The Sitwell Arms Hotel in Renishaw last month. Their day was so full of laughter and love. They literally spent the whole day making each other giggle and it was such a joy to be part of. It's clear to see that all the kids loved it too, climbing trees, playing with bubbles and rocking the dance floor. And is there anything better than the magic on a child's face as they dip a strawberry in a huge chocolate fountain?! Hope your cheeks have stopped hurting now, Kim, you two were amazing and we feel very lucky to have been part of your special day.